The artistry of poetry may be subjective, but the dominance of Vera Escaja-Heiss in reciting it competitively is not. For the second year in a row, the 17-year-old senior from South Burlington High School has claimed top honors in Vermont's Poetry Out Loud state championship. 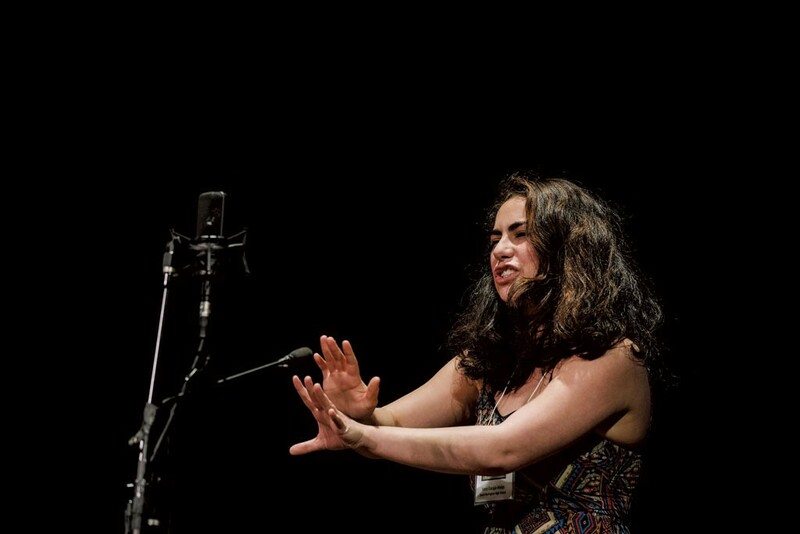 Next week, she'll advance to the national championship, being held on April 30 and May 1 at George Washington University in Washington, D.C. At last year's national event, Escaja-Heiss also reached the finals, where she was ranked among the top nine poetry competitors in the country. In mid-March, Escaja-Heiss won the state championship, held at the Vermont PBS studio in Colchester. Two of the three poems she recited — "Harina de Castilla," by Sandra M. Castillo and "El Olvido," by Judith Ortiz Cofer — played into her linguistic and cultural strengths. The first-generation American, daughter of a German father and Spanish mother, speaks three languages. As she explained in an interview, the pieces she chose to recite "show my own story through someone else's poetry." Both works are written partially in Spanish and speak about a connection to Spanish culture and maintaining one's cultural roots. The nationwide competition, created by the National Endowment for the Arts and the Poetry Foundation and administered locally by the Vermont Arts Council, begins at the high school level. Students are asked to recite three poems from memory from a designated list of 2,000. One must be a pre-20th-century poem, one must be shorter than 15 lines, and the third is the reciter's choice. Judges evaluate the recitations based on accuracy, articulation, dramatic interpretation and performance. "I keep those things in mind," Escaja-Heiss explained, "but overall I really just like to do what feels right and just present my true self." Escaja-Heiss started writing her own poetry at age 7 but didn't perform it competitively until her sophomore year in high school. That said, she might have had a leg up on her competitors: Her mother, Tina Escaja, is a University of Vermont professor whose areas of expertise include 20th- and 21st-century Spanish and Latin American poetry. Raised by a multilingual poet, Escaja-Heiss grew up attending poetry readings. Such exposure clearly left an impression. 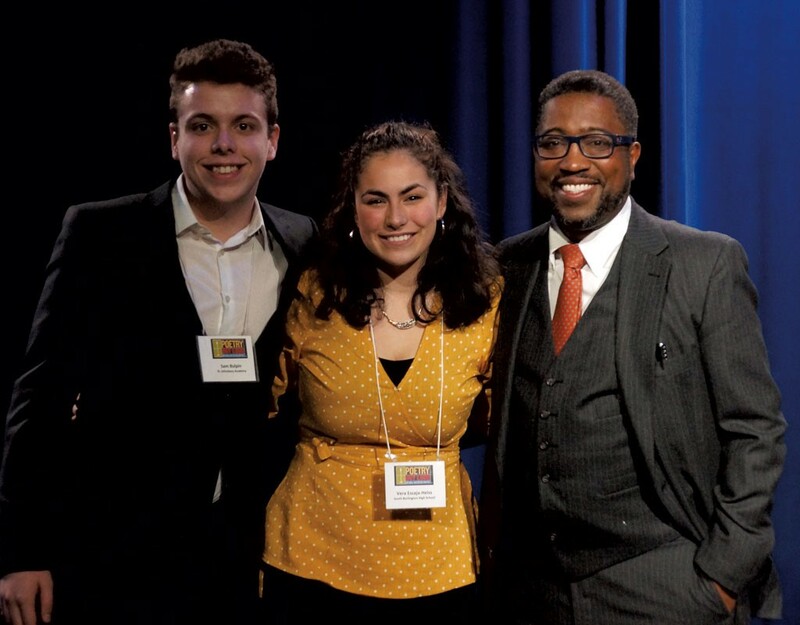 UVM professor and award-winning poet Major Jackson, who emceed the recent Vermont Poetry Out Loud championship, noted that "the judges had their work cut out for them" when choosing a winner. Nevertheless, he noted that Escaja-Heiss' performances stood out in terms of maturity and artistry. "At times, I forgot I was hosting but sitting in a room, listening to great testimonials of the human journey," Jackson wrote in an email. "One experiences a poem differently when read out loud, as opposed to reading in a book or magazine. I enjoyed how she gathered us around the poem's words and held us, almost breathless." Escaja-Heiss received a $200 prize, as well as an all-expenses-paid trip to Washington, D.C., for herself and a chaperone. She also earned her high school a $500 stipend for the purchase of poetry books. In D.C., Escaja-Heiss will compete with 52 other high school students — the champions from 49 other states plus the District of Columbia, Puerto Rico and the U.S. Virgin Islands — who will face off for $50,000 in scholarships and school stipends. One national champion will receive a $20,000 college scholarship. What's her secret to doing well in competition? Being in the moment, Escaja-Heiss said. Indeed, in a video of her winning performance, she can be seen closing her eyes as she recites the poems. "Instead of being onstage and being aware that I'm presenting a poem and seeing what works and what doesn't ... I am capable of forgetting about everything around me and really immersing myself in the words," she said. "It's a feeling I'm presenting, rather than just a bunch of words." One might assume that her prior experience competing on the national level would be an asset, but Escaja-Heiss confessed that it's not: "I wish I could say it makes me more confident, but actually it makes me more nervous." She's hoping her choice of poems with multicultural themes will help her stand out at the national level, especially in the current political climate. "Putting a Hispanic voice forward ... can have a bigger impact right now because of what's happening with immigration and the Mexican border and racism," Escaja-Heiss suggested. "Having a minority voice out there is super important right now." The original print version of this article was headlined "South Burlington Student Returns to Poetry Out Loud National Finals"
4. I'm a 77-Year-Old Gay Widower Ready to Date Again Ask the Rev.